There are many opportunities to support our work in the community. 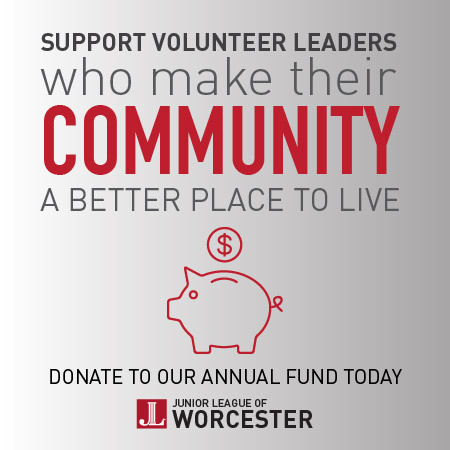 A donation to the Annual Fund, sponsoring a fundraiser or attending an event, or a personal donation raises funds that help us carry out our mission and make Worcester a stronger community for us all. If your employer matches funds, your contribution will go even further. Each dollar given to the community through the JLW is tripled in value by our volunteers’ time! Do you own or work with a Worcester business that believes in the power of our community? Do you want to help us make Worcester a better place? We have many sponsorship programs available, including opportunities tied directly to our fundraising events. Contact us to learn more. Contribute to our Annual Fund by clicking on the link below.